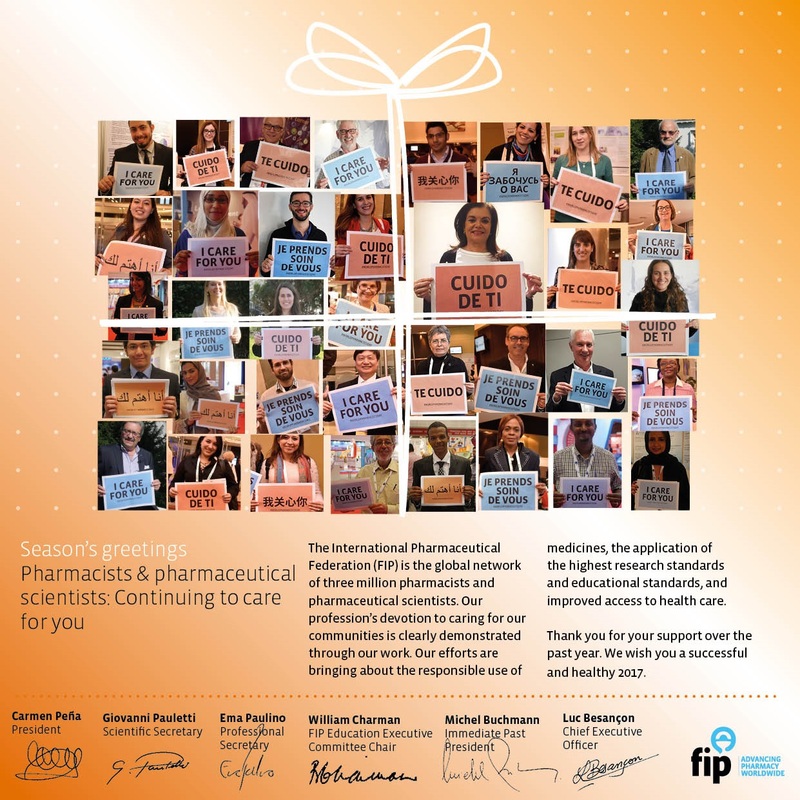 The International Pharmaceutical Federation (FIP) is the global network of three million pharmacists and pharmaceutical scientists. Our profession’s devotion to caring for our communities is clearly demonstrated through our work. Our efforts are bringing about the responsible use of medicines, the application of the highest research standards and educational standards, and improved access to health care. Thank you for your support over the past year. We wish you an exceptionally successful and healthy 2017.